What an awesome weekend. Such an amazing event in so many ways. A grass roots event on steroids! Great venue, great industry people, great show of racers, teams, fans. 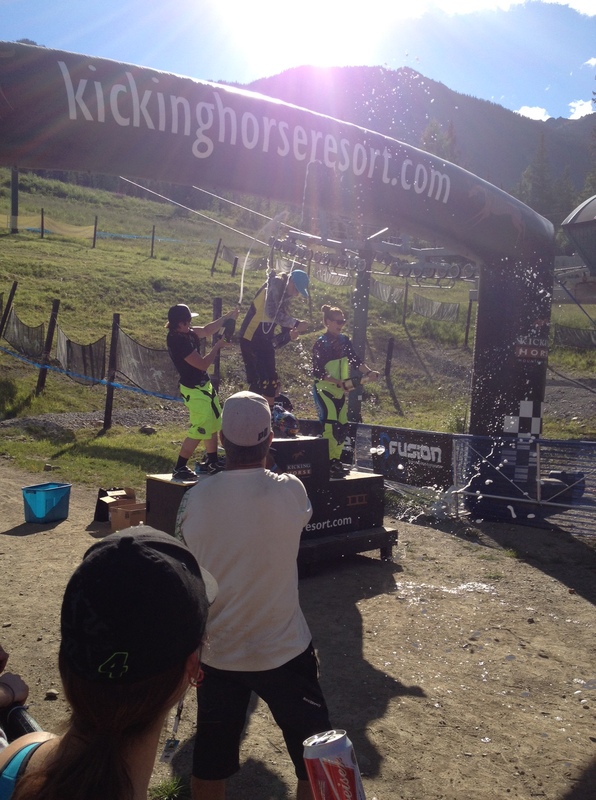 Thank you to everyone for allowing Kovarik Racing to be a part of it: Stephen Exley for putting it all and bringing us all together, Kicking Horse Mountain Resort for having us, Brett Tippie on the mike, Tara Llanes and Elladee Brown running the Shimano Kids race, Lindsay Voreis and Cierra Smith from All Ride coaching the ladies, Cory Leclerc and his C4 shredders, Jason Loundry on the wrench, CCN, Cycling BC, all the racers and parents. 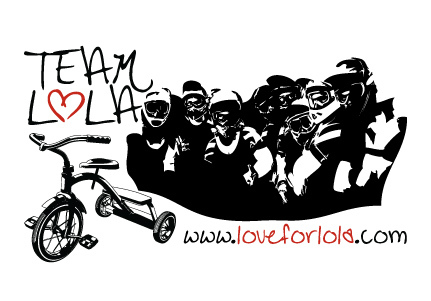 We are Team Lola! The inspiration behind the event is Lola, Stephen Exley’s little girl, who was left with lifelong disabilities after being struck with a rare virus in 2008. All proceeds from the event go to the Love for Lola Fund. I worked with Stephen on many levels, designing some of the branding and promotional material for his events: podium cheques, medals, cowbells, t-shirts and more. My favourite design was on the front of the t-shirts! 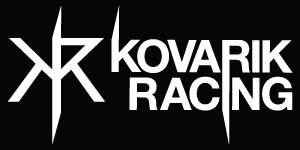 Kovarik Racing was invited to run a 2 day Race Skills Clinic and to race for a chance at the Western Open Title. Our clinic sold out early, ran Friday and Saturday and was a great success! We had adults and young guns alike, all looking to improve their race skills and tactics and all leaving the clinic with some valuable lessons and resources to digest and apply towards their training, riding and racing. They all did extremely well on race day and we were proud! 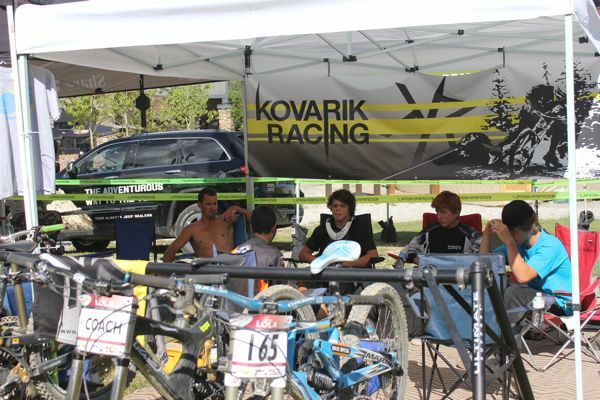 Some of our crew at the Kovarik Racing pits. After 2 days of coaching, it was time for Chris and I to focus on our own races. The track was steep, technical, dry and loose! We got 2 runs for ourselves the morning of the race but after dissecting the track with our campers the days before, we were well aware of all the lines. With my shoulder still causing me some confidence issues, I took it really easy on the gnarly bits and just tried to carry speed through the mellower sections. A lot of the corners were blown out and the track was rough by the time the elites raced so you had to be on your toes. 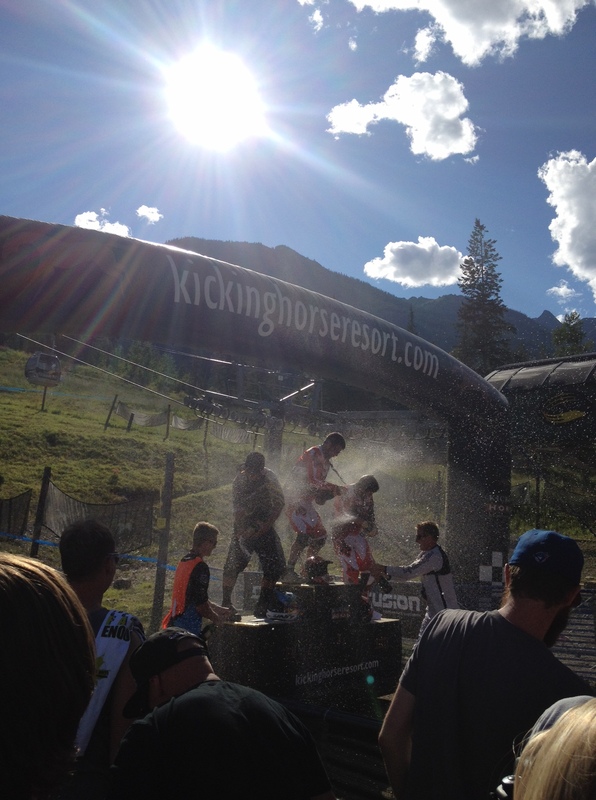 The bottom of the track had a long fire road sprint to the finish and I felt really strong there, I was pumped! I managed to pull off a win and get some confidence back into my riding. Still a little ways to go but getting there 🙂 Jaime Hill finished 2nd and Vaea Verbeek rounded out the podium in 3rd. Well done ladies, not an easy track! Fellow CDHG Danice Uyesugi has been riding and racing really well but unfortunately crashed twice during her run and still managed a 4th place! Good effort. Katherine Short, Lindsay Trimble and Kristen Smart, just all round shredders, finished off the Elite Women category in 5th, 6th and 7th. Of course, I couldn’t open mine so I got the worst of the soaking….it was a bottle defect, I swear! The elite mens race was next and Chris was on a decent run but suffered a mechanical and was not able to pedal for the last 30 seconds of track! He resorted to tucking and still managed to come away with a second place, just one thousandth of a second off of first place finisher, Adriano Digiacinto. Pumped for Adriano, great effort! Jeff Bryson pedalled through with the fastest speed trap time to finish third. Chris off the finish jump. 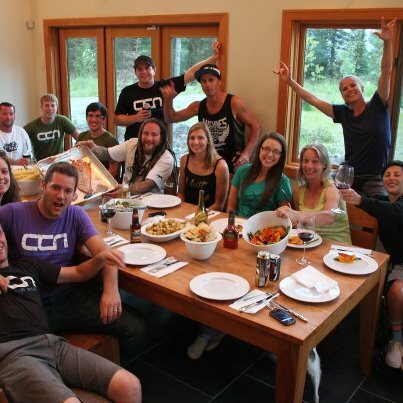 After getting soaked with champaign and packing up our pits, we head back to our mansion and had a massive dinner, hosted by CCN. Yum! 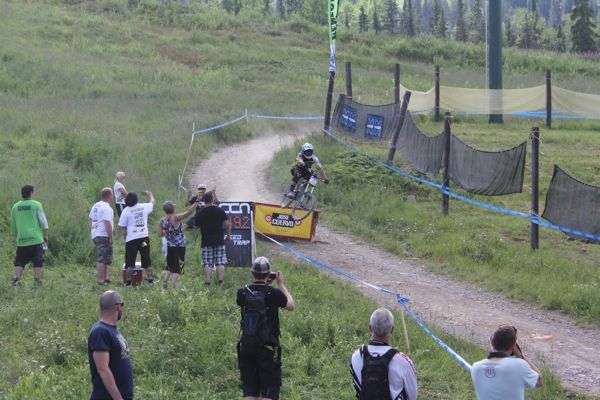 Now back to Whistler for more coaching and Crankworx! Looking forward to it.